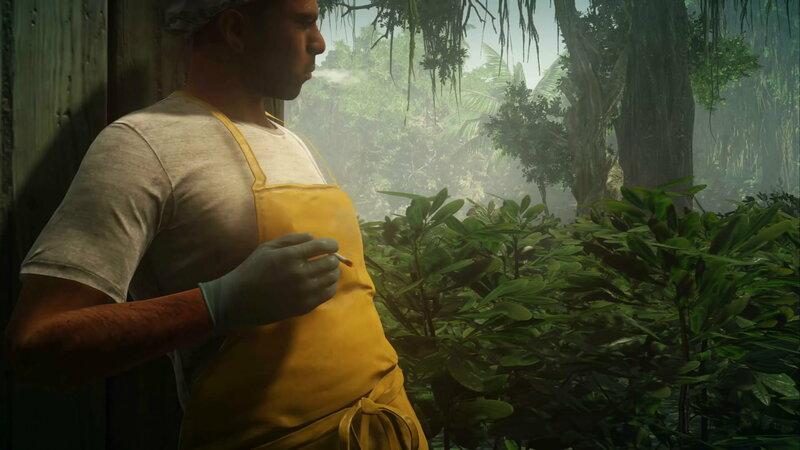 A new trailer for Hitman 2 shows Ian Hitman off on his hols in sweltering Colombia, creeping through the rainforest to murder fellas out S.T.A.L.K.E.R. in the gas masks and ponchos and all. What exactly these tropical cosplayers have done to deserve murder is a mystery we cannot begin to guess at, but the video shows that goodness me the forest really is lush and not just a wee base with trees in the skybox. I look forward to creeping through there, maybe even grabbing a swim. Have a look below.